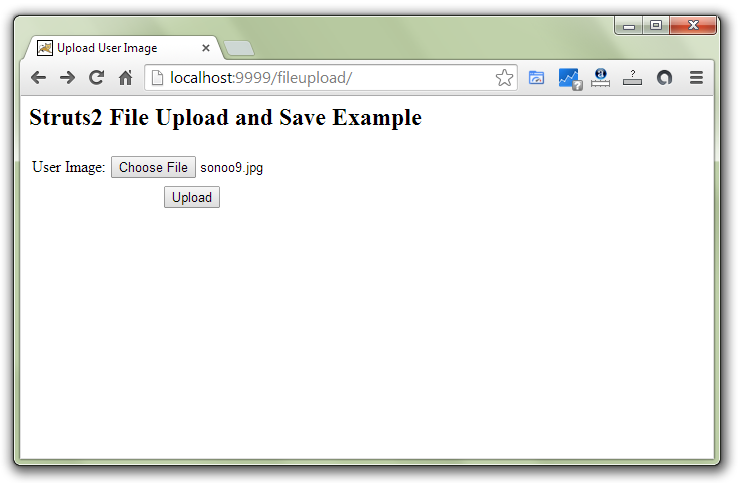 The fileUpload interceptor automatically works for all the requests that includes files. We can use this interceptor to control the working of file upload in struts2 such as defining allowed types, maximum file size etc. There are 2 parameters defined for fileupload interceptor. The fileName and contentType name depends on the request parameter for the file. If filename is file, you need to use fileFileName and fileContentType. If filename is userImage, you need to use userImageFileName and userImageContentType in the Action class. 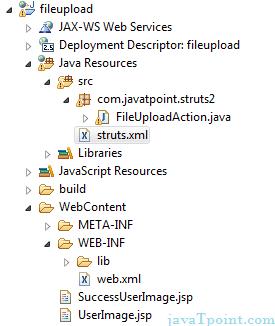 Let's see the directory structure of file upload application. Image will not be displayed in the current project. 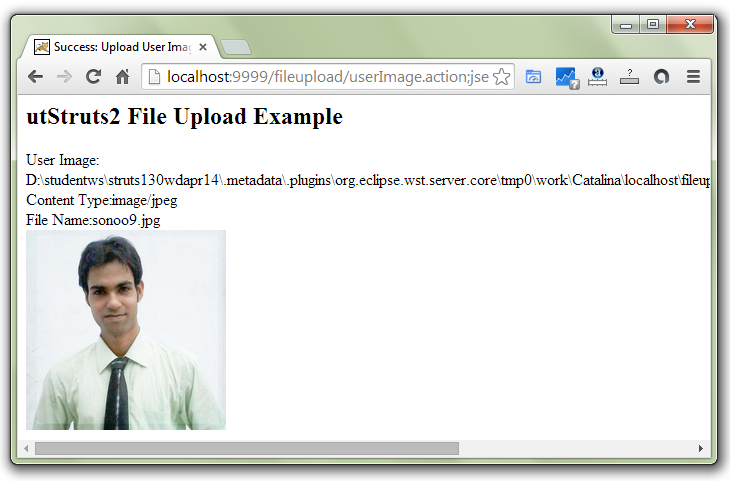 Visit the image location printed in the server console to see the image.